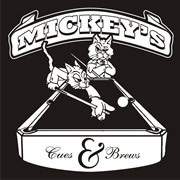 Congratulations to all of the teams who competed at the 2010 Vegas Masters State 8-Ball & 9-Ball Championship & National Qualifiers at Mickey's Cues & Brews. All in all, over $13,000 in cash and prizes were awarded to the winning teams! 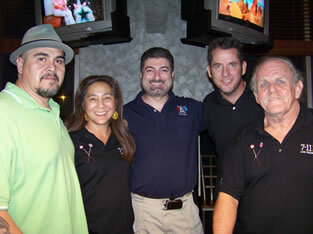 The 1st Annual 2010 Vegas Masters 9-Ball Tournament began Saturday, September 25 with a round robin tournament. On Sunday, September 26, Sharp Shooters, Ball Strikers, DILLIRGAF!, The Fresh Ones and Sinners competed on the Championship Board. 1st Place will won their entry fee into Nationals, rooms at Ballys and a trophy. 2nd Place won their entry fee into Nationals and 3rd and 4th will each received $80! Click here to see the round robin team results. Congratulations also to Ray Jones for winning the 2/3 bracket in a mini-tournament on Saturday, September 25 along side the team tournament! We started with a tie for the 4th spot between The Fresh Ones and Sinners. In a hill/hill match, the Sinners were triumphant. In the semi-finals on Sunday, we had the Ball Strikers, DILLIRGAF!, Sinners and Sharp Shooters competing for the #1 spot. DILLIRGAF! and Sharp Shooters came in playing strong against the Ball Strikers and Sinners and moved on to compete in the finals. 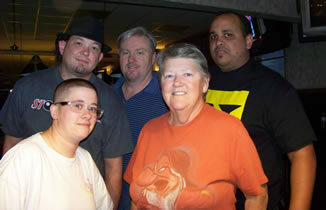 In the end, the Sharp Shooters were triumphant and won 1st place with DILLIRGAF! in second. Congratulations to all of the teams and players who came and gave it their best. See the results of the 2010 TAP League Nationals here. 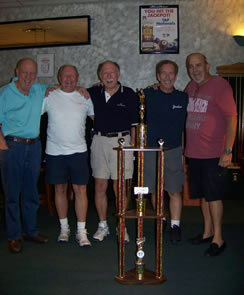 Congratulations to all of the teams who competed at the 2010 Vegas Masters 8-Ball State Championship & National Qualifier at Mickey's Cues & Brews. In 1st Place & the 2010 State Champion, Fun & Games! This team advanced to compete at Nationals. We put them up at Bally's on The Strip, they attended the exclusive TAP League welcome party and now sport an awesome trophy for their amazing efforts. 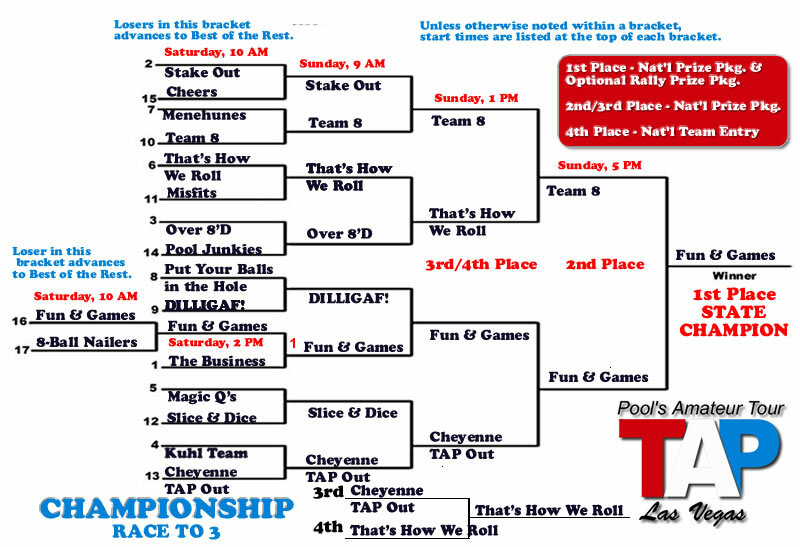 Fun & Games also won a trip to Philly, but passed it off to 2nd Place, Team 8! 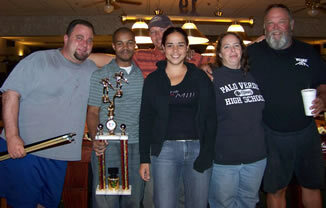 Team 8 not only advanced to compete at Nationals, they also went to Philadelphia to compete at 2011 Rally in the Valley team 8-ball pool tournament in March. Congratulations to the Team 8 for earning 2nd Place and That's How We Roll for earning 3rd place, their chance to compete at TAP League Nationals, a hotel stay at Bally's and a beautiful trophy! Congratulations to Cheyenne TAP Out for taking 4th place and also earning their chance to compete at TAP League Nationals. They also received a team plaque as a momento of their accomplishment. 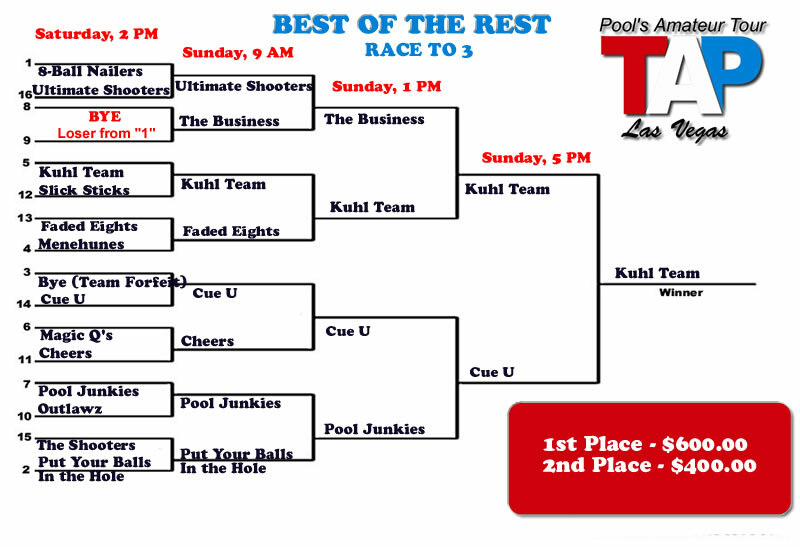 In the Best of the Rest, congratulations to Kuhl Team for earning 1st Place and winning $600! 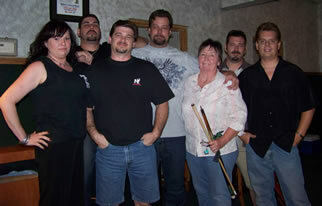 Congratulations to Cue U for earning 2nd Place and winning $400. 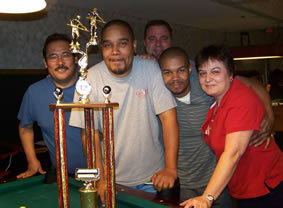 Click here to see the results of the 2010 TAP League National pool tournaments! Click here to read more about the tournament and the prize packages. Below is a list of all the teams that competed in the 2010 Vegas Masters State Championship & National Qualifier.